’Tis the season to do some shopping, and if you’ve added a new Macintosh to your shopping list, you’ve picked a great time to buy one. Apple’s current lineup features a nice variety of Macs at great values. But with all that Apple has to offer, you may understandably be unclear as to which Mac you should buy. MacBook or MacBook Pro? The 21.5-inch iMac or 27-inch iMac? We’ve tested them all (well, almost all of them; we just got the new 27-inch 2.66GHz Core i5 iMac, and we’re testing it right now), and we’re here to help. In this buying guide, we’ll cover all the Mac models available, tell you how they differ from their respective previous models, and how well they did in our benchmark tests. If you want to read the full review for each Mac, just click on the "Read our complete review" links. We’ve also provided links to help you find the best prices. It may not seem obvious when you look at the MacBook, but it has undergone a dramatic change. The new MacBook, released in October, has a polycarbonate plastic case like its predecessor, which was released in June. But unlike the previous model, the new MacBook features a unibody design. The result is a MacBook body that’s lighter and more durable, and one that has fewer parts. One drastic change with the MacBook is that it now has a non-removable battery. Apple says that a battery should last between 3.5 and 7 hours, depending on the type of tasks you’re doing. Other improvements on its predecessor include a glass Multi-Touch trackpad with gesture support, and an LED backlit display. The major missing feature in the MacBook is FireWire: the new MacBook doesn’t have either a FireWire 400 or FireWire 800 port. Instead, you connect peripherals through one of the two USB 2.0 ports. The MacBook also doesn’t have an IR port for the Apple Remote, but you can use an iPhone or iPod touch with a remote app over Wi-Fi. Configurations: There’s only one configuration of the MacBook available. For $999, you get a 2.26GHz Core 2 Duo processor, 2GB of DDR3 RAM, a 250GB hard drive, an 8X SuperDrive, and the nVidia GeForce 9400M integrated graphics system, which uses 256MB of main memory for video. Performance: The new MacBook provides a significant performance boost over its predecessor, thanks to the faster processor (2.26GHz in the new, compared with 2.13GHz in the old) and a boost in RAM speed (1066MHz in the new, as opposed to 800MHz in the old). Compared with the 13-inch 2.26GHz Core 2 Duo MacBook Pro, the new MacBook was as fast or faster in many of our benchmark tests. 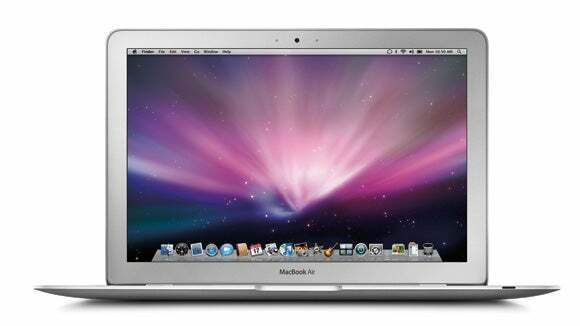 Macworld’s buying advice: The MacBook is a very popular machine, offering a great combination of price and performance. Its battery life is very good, and the new unibody design is a nice upgrade. The MacBook is a terrific machine for most people, but if you need FireWire in a laptop, you’ll have to consider a MacBook Pro. The unibody design may be new to the MacBook, but it’s been more than a year since the unibody MacBook Pros made their debut. The biggest change made to the MacBook Pro line back in June was the introduction of a 13-inch model to go along with the 15- and 17-inch laptops. Besides adding the 13-inch model, Apple did add some new features during the June update. The 13- and 15-inch MacBook Pros now have SD card slots instead of ExpressCard/34 slots, (the 17-inch MacBook Pro has an ExpressCard/34 slot but no SD card slot). All of the MacBook Pros now have built-in batteries that are not user-replaceable. And the 15-inch model has a new screen that’s a big improvement on the screen in the previous 15-inch MacBook Pro. All of the MacBook Pros have FireWire 800. Configurations: There are a total of six MacBook Pro standard configurations. The 13-inch MacBook Pro with a 2.26GHz Core 2 Duo processor, 2GB of RAM, and a 160GB hard drive costs $1199. (Get best current price.) There’s also a 13-inch MacBook Pro with a 2.53GHz Core 2 Duo processor, 4GB of RAM, and a 250GB hard drive that costs $1499. (Get best current price.) Both 13-inch MacBook Pro models use nVidia GeForce 9400M graphics. There are three 15-inch models. For $1699, you get a 2.53GHz Core 2 Duo processor, a 250GB hard drive, and nVidia GeForce 9400M graphics. (Get best current price.) The next model up has a 2.66GHz Core 2 Duo processor, a 320GB hard drive, uses both the nVidia GeForce 9400M and nVidia GeForce 9600M GT (256MB dedicated video memory) for graphics, and costs $1999. (Get best current price.) The high-end 15-inch MacBook Pro has a 2.8GHz Core 2 Duo Processor, a 500GB hard drive, and the nVidia GeForce 9400M and nVidia GeForce 9600M GT (512MB dedicated video memory) for graphics, all for $2299. (Get best current price.) All of the 15-inch models have 4GB of RAM. The 15- and 17-inch MacBook Pros are the only laptops in Apple’s lineup that have an antiglare screen option available, but it costs an additional $50. Performance: The 17-inch MacBook Pro was the fastest in our Speedmark 6 testing, but the 15-inch MacBook Pro with the same processor as the 17-inch model (a 2.8GHz Core 2 Duo) wasn’t far behind. If you want the fastest MacBook Pro, your choice will be between these two models, and it basically comes down to whether or not you want the bigger screen. The $1199 13-inch MacBook Pro’s performance was similar to that of the MacBook—in some tests, the MacBook was faster. When you’re deciding between the MacBook and the 13-inch MacBook Pro, the decision comes down to FireWire, and to a lesser extent, your preference for plastic or aluminum. Except for the screen size, the $1499 13-inch MacBook Pro has the same specifications as the $1699 15-inch MacBook Pro. As you might expect, the benchmark results from these to machines are nearly identical. Macworld’s buying advice: If you’re on a budget and you don’t need FireWire, the $999 MacBook is a better deal than the $1199 13-inch MacBook Pro. The 13-inch 2.53GHz MacBook Pro, however, is a very good value—it has a smaller size and weight than the other MacBook Pros, and it actually offers performance that’s similar to the $1699 15-inch 2.53GHz MacBook Pro. If you need the fastest MacBook Pro, either the 15- or 17-inch MacBook Pros with the 2.8GHz processor will fit the bill. Looking for a Mac netbook? The MacBook Air is the closest you’ll get. The most recent MacBook Air models were released in June, and externally, the MacBook Air hasn’t changed from the previous versions. Not much has changed with the MacBook Air’s internals, either—the most dramatic changes occurred between the first and second generations, and we’re now at the third generation. About the only major change is with the processor. Configurations: Before the June update there were two MacBook Air models. There are still two models, but the processors have been upgraded. Performance: In our testing, the 2.13GHz MacBook Air was a bit slower than the old top-of-the-line MacBook Air, which had a 1.86GHz Core 2 Duo. More interestingly, the new 1.86GHz MacBook Air was slower than the old 1.86GHz Core 2 Duo. We’re not sure why each machine performed the way they did, but we suspect that the MacBook Air’s thermal-protection systems in the new models turned down the speeds of the processors in order to keep the laptops cool. Macworld’s buying advice: The MacBook Air isn’t about performance, and if speed in a small laptop is your top priority, you should consider a 13-inch 2.53GHz MacBook Pro. 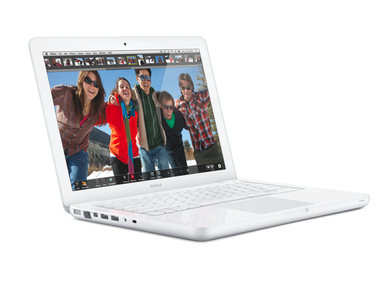 The MacBook Air is all about portability—it’s small enough and light enough to bring with you almost anywhere. Once considered the neglected machine in Apple’s Mac line, the Mac mini has had two updates in one year (the most recent of which happened in October). Its specifications are fresh, making the smallest desktop Mac an attractive buy for switchers or current Mac owners looking for an affordable upgrade from a Power PC-based Mac. Apple boosted the RAM in the $599 Mac mini from 1GB (which wasn’t enough) to 2GB (a lot better). The $599 Mac mini also has 40GB more storage than before. The $799 Mac mini has 4GB of RAM, up from 2GB in the previous $799 model. Apple also offers a new Mac mini with Snow Leopard Server, with a 2.53GHz Core 2 Duo processor and a pair of 500GB hard drives that you can configure as a RAID. This model doesn’t have an optical drive. You have to supply your own keyboard, mouse, and display. The Mac mini has both Mini DisplayPort and mini-DVI connectors, and Apple includes only a mini-DVI-to-DVI adapter. Performance: The increase in processor speed and RAM helped the new Mac minis show decent increases over its predecessors. The difference between the old 2GHz Mac mini and the new 2.26GHz Mac mini was small, but much more noticeable between the old 2GHz Mac mini and the new 2.53GHz model. Macworld’s buying advice: The Mac mini is for the cost-conscious customer. You make some performance compromises, but this generation of the Mac mini has improvements that finally let the Mac mini take full advantage of Mac OS X and iLife ’09. We think the $599 Mac mini is a better value than the $799 model. Apple’s all-in-one computer was updated in October, and from the outside, the iMac changes look major. Instead of 20- and 24-inch models with 16:10 displays, the new iMacs have widescreen 16:9 displays at 21.5 and 27 inches. The image quality on the new iMacs is a big improvement on that of the previous iMacs, especially on that of the 20-inch iMac. Another new feature you’ll notice is the SD card slot next to the SuperDrive slot. A 3.06GHz Core 2 Duo processor is in three of the four new iMacs. With the 21.5-inch iMac, you can choose between a system that has nVidia’s GeForce 9400M, which uses 256MB of main memory for video, or a system with an ATI Radeon HD 4670 graphics card with 256MB of dedicated memory. There’s a 27-inch 3.06GHz Core 2 Duo iMac with a 512MB Radeon HD 4670 graphics card, and another 27-inch iMac that uses a quad-core 2.66GHz Intel i5 processor and an ATI Radeon HD 4850 graphics card with 512MB of video RAM. Performance: Our benchmarks show that the three new iMacs with the 3.06GHz Core 2 Duo processors have the same speed as the last iMac generation's top-of-the-line 24-inch 3.06GHz Core 2 Duo iMac. More-significant gains can be seen in the new 3.06GHz iMacs compared with the old 20-inch 2.66GHz Core 2 Duo iMac. With its quad-core processor, the 27-inch Intel Core i5 iMac shows more-significant gains over the previous generation of iMacs. In fact, the Intel Core i5 iMac gives the Mac Pro for its money. It's a very impressive machine. Macworld’s buying advice: The iMacs have enough processing power for serious video and audio work, but they are priced attractively for the general consumer. If you have an iMac from the previous generation, it might be compelling to upgrade if you have a model with a 2.66GHz Core 2 Duo processor, or if you have the 20-inch iMac with the 6-bit display—the 21-inch display are a vast improvement. If you have a first-generation aluminum iMac or older, this is the time to upgrade. If you want a 27-inch iMac, get the Core i5 model. Apple’s top-performing workstation was updated last March. Apple replaced the single-model Mac Pro with a pair of quad-core 2.8GHz Intel Xeon 5400 processors with two new Mac Pro models, one with a single quad-core 2.66GHz Intel Xeon 3500 processor, the other with two quad-core (a total of eight cores) Xeon 5500 processors running at 2.26GHz.